This is becoming a bit of a tradition I suppose. Last year, when I launched the inaugural issue of Toile Holiday Gift Guide, I also launched my first Limited Edition Stamp Set – Over the Edge: Joy. The response was great and this holiday season I’m releasing another set that follows that same trend of large, ornate sentiments that make for beautiful handmade stationery. You’re going to love this simple stamp set that can be combined with tons of stamps and dies that you already own. This stamp set includes a large and small sentiment in a beautiful script font that I am obsessed with! 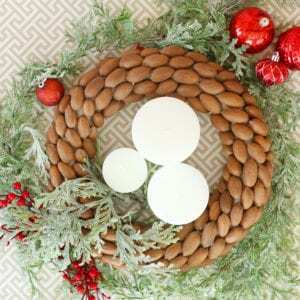 The accompanying words can be coupled with the larger sentiments for a customized greeting. The “be” sentiment is also separate, so you can choose to use it with your design if you’d like. Of course, I’m gonna give you a look at how this sentiment stamp set looks in action…so let’s get started! 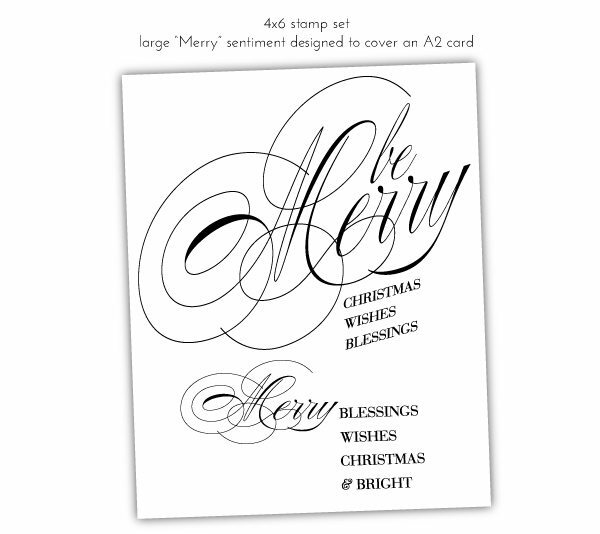 As you can see, the large “Merry” sentiment is designed to fall off the edge of your A2 sized cards. 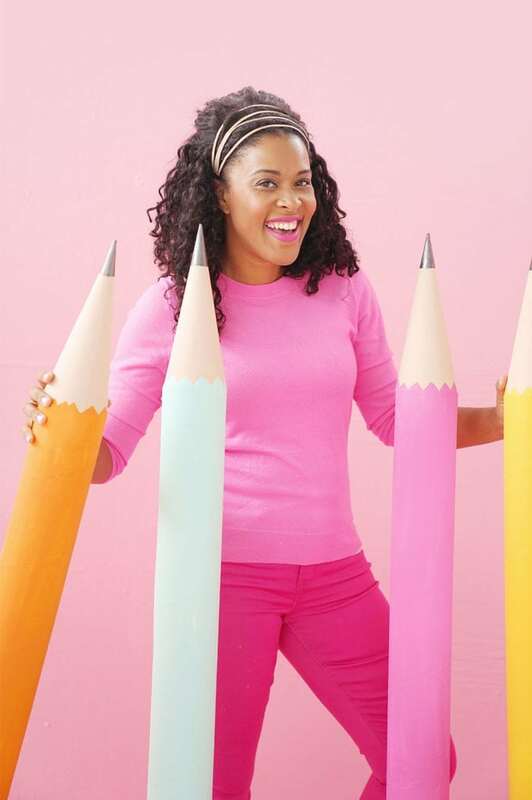 This is one of my favorite looks in stationery but it’s tough (if not impossible) to find stamp sets that allow for this feature. 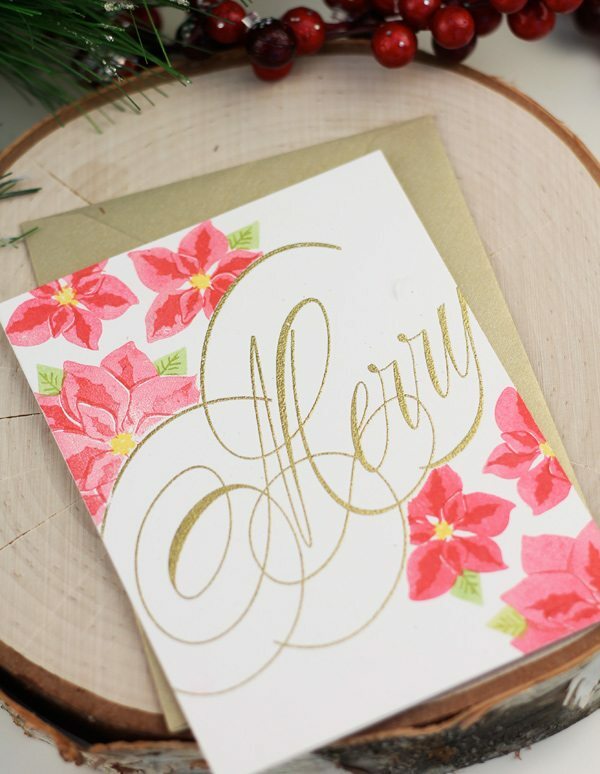 For this design, I heat embossed the sentiment with gold embossing powder then stamped a few holiday poinsettias all around. 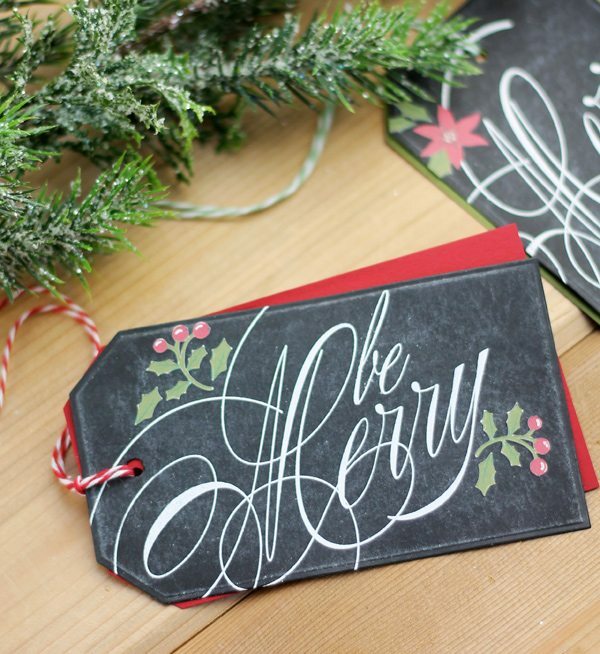 The large “Merry” sentiment also works for creating a beautiful gift tag like this one. I used the largest shape in the My Favorite Things Traditional Tag Stax and the size is perfect. 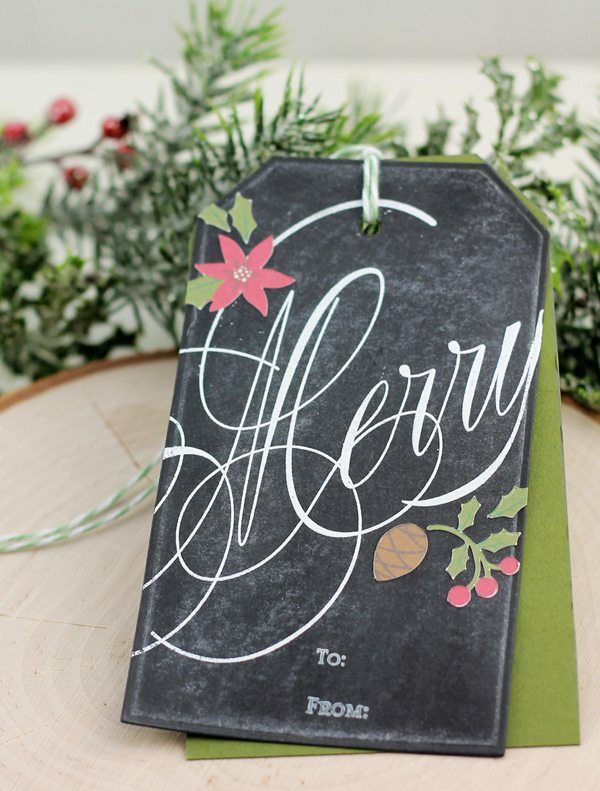 Using my Simple Chalkboard technique I created the tag and embossed the sentiment in white. Those little holly embellishments are actually stickers that I created using the Print Then Cut feature of my Cricut Explore. You know how much I love that thing! 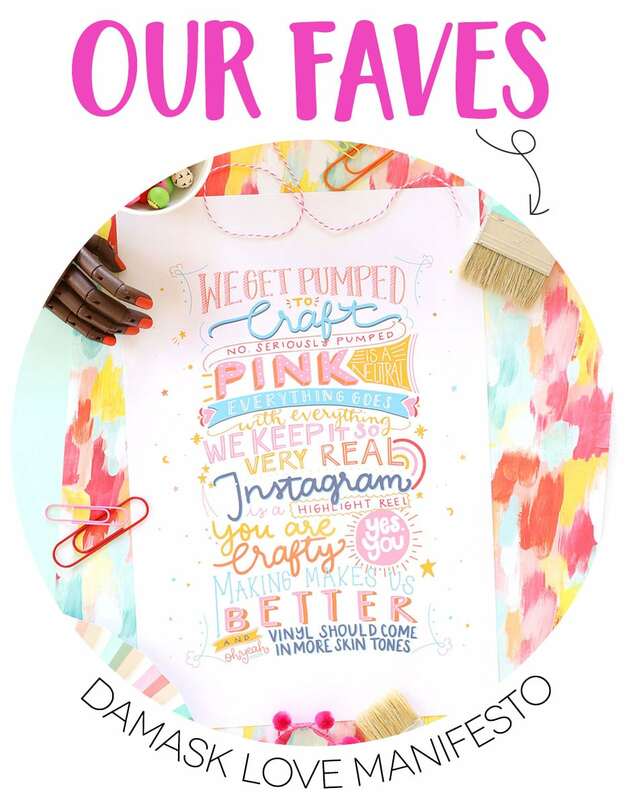 When it comes to quick & easy cards, watercolors are you very best friend! The messier you make it, the better it looks – so you can’t go wrong. For this card, I painted shades of blue onto watercolor paper and then stamped and embossed the sentiment in white. Easy! 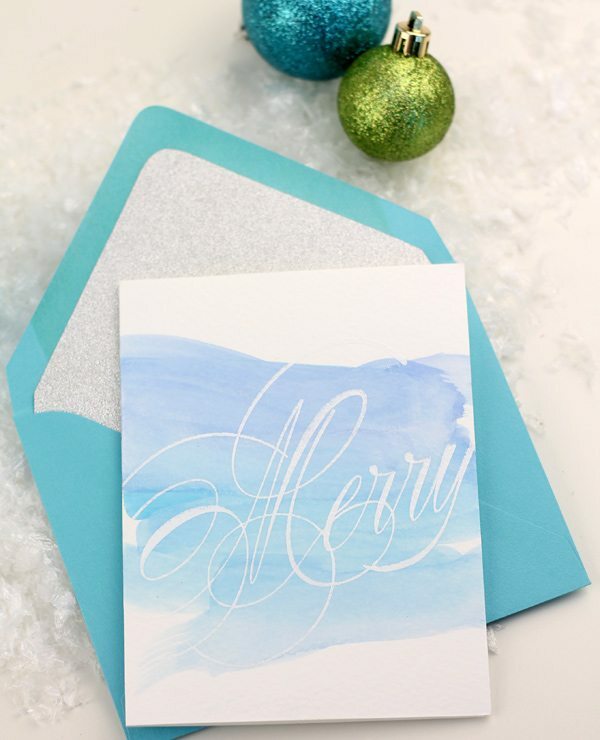 Just be sure the watercolors are completely dry before you start embossing! Now let’s take a look at the smaller “Merry” sentiment. 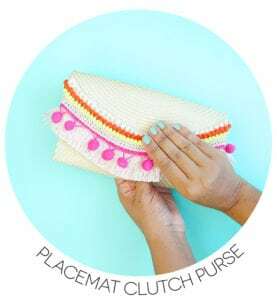 It’s perfectly sized to complement your stamped designs without taking up too much space. On this card, I stamped a simple folkart pattern using two of my favorite stamp sets: Folk Art Florals and Fresh Cut Florals. This took me just a few minutes to stamp out, so it’s a great design for creating mass produced stationery for all your friends. And here’s another simply stamped design. Just one layer and some stamps. Again, I pulled out those Fresh Cut Florals with a few other faves to create a simple holiday motif that is not overly Christmassy. 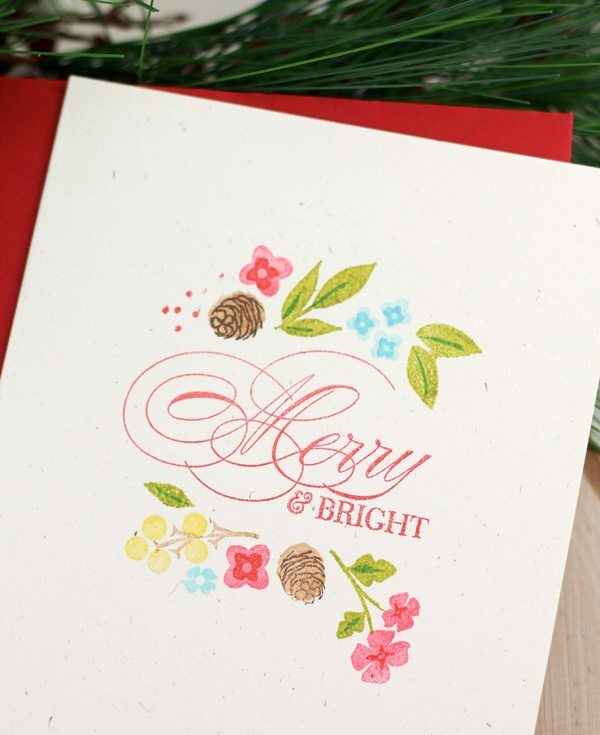 The smaller “& Bright” sentiment nestles perfectly under the word “Merry” – it looks like they were meant to be together, right?! 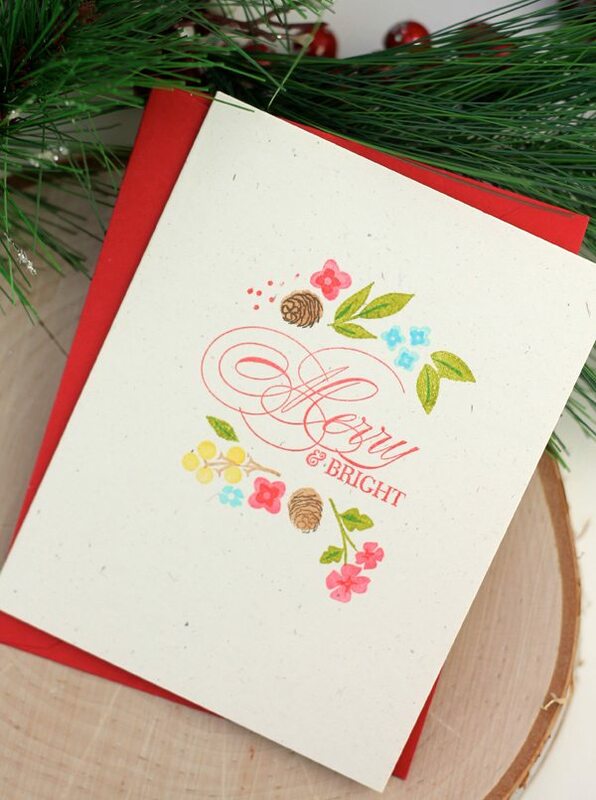 Stamp sentiment in the center of the card front // Stamp floral images in whatever array you wish! 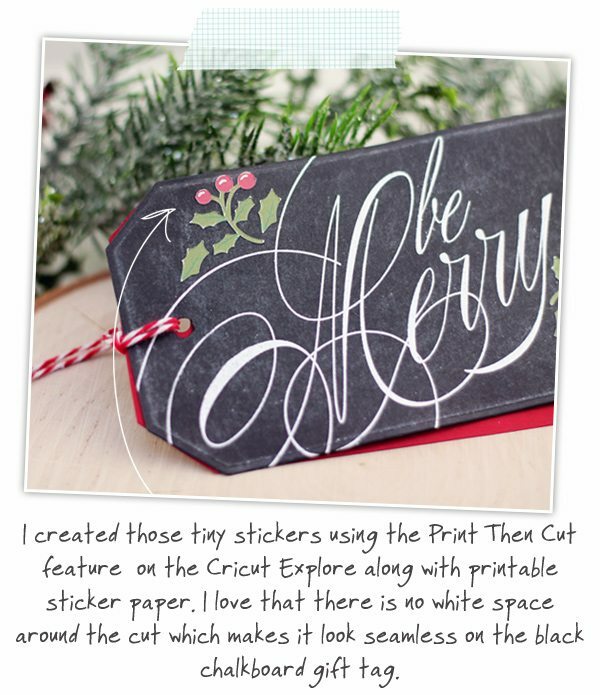 If you want to add Over the Edge: Merry to your stamp stash, go for it! The set will be available in limited quantity and will be restocked periodically, though I can’t be sure if it will be restocked before Christmas. Grab yours now to be sure you don’t miss out. To order your stamp set you can visit the SHOP page! Happy stamping. Oh my goodness, Amber! I knew you were crafty but I didn’t know you designed stamps, too! 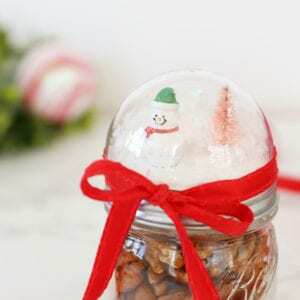 I love this so much and have just placed my order! I can’t wait to get it. I know it will get a lot of love this holiday season! Thank you so much! this stamp set is just so You. Love it. I can see your personality coming from it. thanks for sharing a great stamp. Hi Amber, how long would this take to ship to Canada? Thanks! Gorgeous script! You have really blown me away with this one. 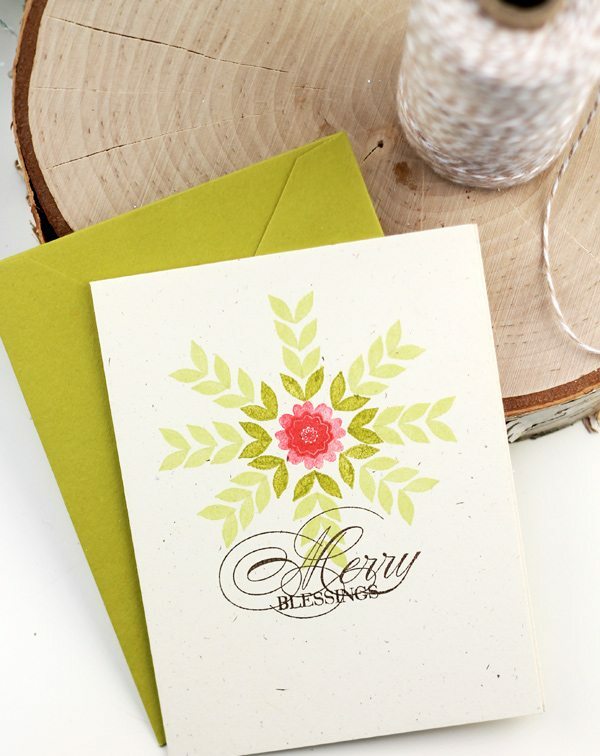 Your gold embossed “Merry” is beautiful! Actually I love all your projects here! I never seemed to get the proper stamping technique – mine smudges or is blatantly uneven. My embossing attempts have also been less than stellar. However, the beauty of this design makes me think I might just need to try again. Thanks for sharing your fabulous designs/projects! this is gorgeous!!! i totally NEED this asap! I LOVE your blog. The Buy Now button is not working for me. How can I arrange to buy a set? So sorry that the button isn’t working! Send me an email and I’ll make sure we get an order in for you. Such a gorgeous stamp set! Unfortunately, I discovered it too late and it’s sold out. Any chance of a restock? Amber, this is incredible! Love your new set, and your projects are equally stunning. Amber, love the stamp but when I went to order it was out of stock. Any chance you’ll have more available? Please get more…I just found your site! I would love your Merry set, but it is out. Could you let me know if more become available? Please let me know when these are available. I love it!! This looks like a must-have set for my stash! Please notify me when more are available as I’d love a set. Thanks! I absolutely LOVE this set! Is there a way to be notified when it is back in stock … even if it’s after Christmas? I sure hope you will re-stock it!